Ok – this weekend’s reader question is going to exclude some readers who don’t have DSLRs (apologies friends – next week’s will be more inclusive). What is your Favorite DSLR Lens – and Why? This question must be in the top 5 questions that I’m asked each week by readers – so I thought it might be useful to have a post asking it that I can point people to. So what lens or lenses are in your ‘must have’ basket? Please include the manufacturer’s name, the lens focal length and even the aperture range if you know it so that we know what lens you’re talking about. Then also tell us what you like about it (ie is it the focal length, its sharpness, it’s price, its aperture range…. etc). PS: I’ll kick things off – that’s a picture of my favorite to the left – it’s a Canon EF 24-105mm f/4 L IS USM. I love it because it’s focal length makes it an ideal walk around lens, it’s super sharp and the Image Stabilization gives me another stop or two for low light situations. If I had a wishlist for it it would be that it was f/2.8 and hadn’t cost me quite as much as it did! Update: I’ve summarized the lenses suggested in this list of Popular DSLR Lenses. Nikon AF-S Nikkor 35mm 1:1.8 G Not in the top 10 but it works for me. Don't follow the herd, find a lens that complements your photography and stick with it. The more you use it, the more you learn and the more you are able to express yourself. I prefer to use a canon50mm prime lens which is fast and reliable and which is gud for my portarit shots especially for bokeh's. I also use canon 70-300 usm for wildlife photos. Want to add a 10-22mm lens to my bag. I have AF-S DX VR Zoom-Nikkor 18-200mm f/3.5-5.6G IF-ED and and a prime 50mm f/1.8 on my NikonD300 . On my Canon 7D, prime 50mm f /1.8 and Canon 70-200 f2.8 L IS USM...and I love both the lenses.Waiting to have a wide angle something like 17-55 f/2.8 aswell.. Mine would be the Sony 18-250mm f/3.5-6.3. I use it on my sony 550a camera. It is fast, sharp and less than 1lb. I leave it on all the time for close ups and it brings in wild life shots great. I also have a maxxum AF zoom xi 100-300 f4.5-5.6 and I can add on a 2x teleconverter for the really long shots. Also use a maxxum 50mm f1.7 for a change of pace. Mine would be the Sigma 70-200 f2.8 hsm ii as the first. It's the most expensive lens i own and it helps me do great shots in low lighting and also wildl life shots. At the moment using my Nikor 18-135 mm on my D300 and am looking to buy more but am cofused as this lens covers a great range. Wonderful portraits, landscapres and some wide angle images. Plus is quick on the job. My favorite Lens in my Tamron 28-300mm f3.6-5.6 Macro lens but with the 1.5x DX CMOS chip in my Nikon D90 it is really a 42-450mm which is great for long shots the bring stuff that is far in the back up closer. The Lens stay on the camera all the time. when I also have a older Nikon Film 60mm AF Macro Micro lens that I use for close macro work. but it an older lens (about 20 years old) it works great but I have to watch out how its put on so I do not get an error message on the camera because its not seated right. I also have a nikon 35-105mm AF Film lens again its a great lens it becomes a 52-157mm with the sensor . I want to get a lensbaby Control Freak lens to play around with. the Past year I have not been able to shoot much because of an infection in my left hand for several months I had cast on the hand so it was hard to shoot the D90. so I been shooting with my iPhone 4G. Canon 24-105 F4 L. With a FF body like 5D Mk II, you almost can cover everything you come across. With decent zoom reach and ability of pop your subjects at the tele end, this is takes nice portrait shots too. Currently using Nikkor 18-55 on my d60,which seems to do the job quite well.Would like any comment on Tamrons' 18-270 as an allrounder,if anyone has one? After reading almost all the coments, I'm a bit confused what lens/es I should buy for Canon 7D. Right now I don't want to buy more than one lens, just a single lens what will cover overall all kinds of photography. So, wondering if Canon 18-135 or 18-200mm with IS is a perfect one in terms of quality and price. Is there anybody who can help me to take right decision? I'd pick my Canon 17-40mm f/4 L for subjects that suit wide angle and Canon 70-200mm f/2.8 L IS for subjects that suit the telephoto range. I can do most work with these two lenses. Canon 24-70, f/2.8 L series is the lens that spends the most time on my 40D. I also have the Canon 70-200, f/2.8 non IS L series and the Canon 50mm, f/1.4 and a few other EF-S kit lenses. So much has been said of the 24-70, f/2.8 and the 50mm f/1.4, so I won't rehash it all here. However, the most under rated of the lens I own is the 70-200, f/2.8 L series non IS..........I originally wanted the IS version, but once I tried out the non IS version and became accustomed to the lens, I was more than pleased with results and opted to save the additonal bucks to put toward my next acquisition.........a 17-40. I have not yet been disappointed with a Canon lens. Caution!! Once you've shot Canon L series lens, you aren't going to want anything less. They aren't cheap, but the IQ is unreal. 1 of my fav's is an old pentacon 6 180mm on my canon 30D ,i have a few p6's :50mm 180mm 120mm 300mm this 1 is a monster to hold on acmera !! tripod or rest of some kind is deffo needed!! I like my sigma 18-200mm F3.5-6.3 DC OS lens. Great walk-a-bout lens with varied focal length. Small, lightweight and a good price! I use this lens with my EOS 1000D. Nikkor 18-200mm f3.5-5.6 VR AF-ED DX perfect walk around lens for my D300, indispensable for most of my requirements, sharp, crisp image. Second is Nikkor 80-400mm f4.5-5.6 VR AF-ED, fits all my telephoto requirements, surprisingly compact. I have to say currently it's the Canon 70-200mm f/4L... I use the 2.8IS model for weddings and while I enjoy that one as well, something needs to be said about being able to carry this lens outdoors and take tack sharp photos without the added bulk that comes with it. And for around $600 getting any L series lens for your bag makes it even sweeter! Im also a fan of the 24-70mm f/2.8L for band promotional work and some studio work...but the weight and price keeps it from number 1. At the moment my preferred lens is the Canon 70-200mm L f2.8 US ISM lens. I shoot a lot of portraits and action western horseshow (rodeo) pictures, and that lens is absolutely excellent for that purpose. I currently own the above mentioned, + a Canon 16-35mm L USM II and a Canon 24-105mm f/4. The last mentioned lens is my preferred lens for day to day photography though. I leave this on my camera most of the time. It's only problem is low light situations however it's important to have a zoom to make most of my shots. I am trying out a new Nikkor 50mm f1.4 low light....Between the two I can get by. I have the Tamron 18-200mm f3.5-6.3 IS beast on my canon camera, aside from the weight it's the most versatile by far. Have just bought a Canon EF 50mm f1.8 to try some shots at night & realised how lazy I have been with the versatility of the Tamron - will persevere and learn the correct framing as I love the speed on the new "Normal" lens. I have a new Canon EFS 55-250mm f/4-5.6 IS and so far am very pleased with it....nice and light and well balanced on camera. Excellent results. I have just purchased the Canon 70-200mm f2.8 L IS and I love it! My Canon 28-135mm walk about lens. Following a close second is my 100-400mm. I'm a great believer in the old adage "It's not what you've got, it's what you do with what you have". My everyday lens, is the Tamron 18-200mm. It has been a workhorse for me. I use it for over 80% of my shots. I opted for it over the Nikon (same focal lengths) because I don't need the VR feature that almost doubled the cost. I use a Manfrotto mono-pod for anything over 100+ mm, and have been thrilled with the results. I take some aerial photos, and while in a small plane, it is just too easy to zoom past 50mm, and as such, longer focal lengths will accentuate any vibration or movement from the plane. For my aerial shots, I use the Nikon AF-S DX 18-50mm and have had great results with it. Sometimes the 18-200mm lens doesn't quite reach far enough when shooting sports shots, so I purchased a Tamron 200-500mm Di F5-6.3 lens. Believe it or not, it often brings me too close to the action. My last and most recently purchased lens, is the Tamron 70-200mm 2.8 lens. I was shooting marching band competitions (at night under artificial light) and my other lenses just weren't fast enough, even with the ISO set at 3200 on my Nikon D300. This lens did the trick, and I got outstanding results with it. I like the CANON EF 28-135MM F/3.5-5.6 IS USM as aN all round lens for holidays and walking around. Very sharp and very good value for the price. I also like my Canon EF 28-70 mm f/2.8 L USM and my CANON EF 35-350MM L F/3.5-5.6 USM. A bit bulky to walk arund with but very handy. Without a doubt my favorite lens is the Canon 100-400mm L IS 4.5-5.6. It might be a bit on the heavy side but I have developed great biceps hauling it around. Love that lens. I love my Tamron 17-50mm f2.8. It's light, sharp and has great value. I wouldn't trade it for any other lens in this focal range. The L-s or the Canon 17-55 f2.8 IS are too heavy for me. However, I also love my 50mm 1.8 prime because which represents fantastic value for money and teaches me to "zoom with my feet". 1. 24-105 F4 IS - walkabout, all-in-one lens. The IS provides up to 3 stop advantage. 24 mm for FF 5D is right, 105 for portrait is great. The closest focal lenght allows macro work. 2. 70-200 F2.8 IS - a bit heavy and bulky but it is fast and sharp. It do the portrait and macro well. Matching with a 2X can give good bird photos. 3. the 18-200 Sigma - used it on the 300D (Rebel) for almost 2 year. Single lens for all the work. another upgrade Pentax K200D I think it is. Thanks for your news letters all read very knowledgable. Cheer Roy. While I own the Nikon 18-200 its not my favorite. Its a good lens but clunky. I've grown attached to working with primes these days. I find Nikon's 35mm f/2 on my camera the most. After that I enjoy my really old 105 f/2.5 AI lens. My D200 feels like a machine and not a toy with these lenses - oh and the pictures are great too. I own a Canon Rebel XSi, not bad in .jpg mode but love it in RAW. The kit lens gave me nice pictures but I was not convinced this was the best the camera was capable of. I purchased a Canon EFS 55-250mm lens that had a nice range for most every day photo shoots but I was still not completely happy with the clarity I was getting. Finally I bought a Canon EF 50mm f/1.8 ll lens and love it. The lens is not expensive (about $130.00) but the sharpness blew away the other 2 lenses. I leave it on the camera almost constantly, a little more work is needed to frame the shot I want but its worth it. I am presently saving for an even better quality fixed focal length lens. 1. I will entirely agree with your statement about the Canon EF 24-105mm f/4 L IS USM, which I have been using for about 8 months now. It really makes for a great walk around lens with its generous range and superb quality (build & optical). I only wish it was an f2.8 for this money. Some would still argue in the favour of the older Canon EF 24-70mm f/2.8L USM which indubitable comes with excellent optical qualities and considerably larger aperture but given the monstrous weight & size + no IS I would definitely NOT trade mine for the 2.8 one. 2. The fifty-nifty (Canon EF 50mm f/1.8) is my second choice for its excellent features/price ratio. I have a Canon 40D camera. If I want to go stealthy, my 85 f/1.8 is light, fast and sharp. If it doesn't matter if people know I'm there taking photos, my 70-200 f/2.8 is the winner for flexibility. Canon 100-400 IS...super for wildlife! Reading this is giving me severe lens envy! I still have the two lenses that came with my Rebel xti a 18-55mm f3.5-5.6 and a 75-300mm usm I love the 300 mil because I'm a details person and I like getting up close. I would dearly love to get my hands on the same lens only L series and with IS. I rarely use the kit lens but have been trying to use it more just to push myself try new things. The AF Nikkor 50mm f/1.8D, cheaper, sharp, very low distorsion, great aperture and the images are great. This is the chosen for me to aerial photography, because it is easy to calibrate. Of course, it depends what kind of shooting I am doing, but the lens that stays on my camera most of the time and covers most of the situations I am shooting is my Nikon 18-200mm 3.5-5.6 G ED VR. Recently I went to southern Africa for a photography safari and because of severe weight limits could only choose one additional lens and so I took my Nikon 70-200mm 2.8 G ED VR. It was the perfect choice and almost on my camera 100% of the time. And I forgot to mention that the Nikon 105mm macro D lens being a 2.8 helps also seeing I hate using flash for anything. My favorite lens is my Nikon 105mm macro D due to my ability to shoot subjects from a distance without being right up on them. I love to shoot in cities and capture people without them really knowing I am shooting them. Also I am able to go macro for those ultra close up shots. So thats my favorite. Probably whatever lens is attached to the camera body at the time of taking photographs!!!! and this provides me with most of my needs. Oh! no doubt - my Sigma 105mm 1:2 DG Macro. I keep it on my K10 all the time. It has improved my macro work immensely and portraits are a dream. It has given me confidence in my abilities, limited though they may be!! nifty fifty.....nikkor 50 af1.8d on my camera all the time. This is a great site with so much good info. Thanks to everyone for their suggestions. They are invaluable to a photograpy beginner such as myself. I'm still deciding on which camera to get. I will probably get a kit lens with it to begin with and then purchase better lens' after I get a feel for the camera (and save more money!). I am considering the Canon EOS 40D. Can anyone recommend a site which shows photos taken say with the kit lens which comes with the Canon 40D vs an L series lens? I can't get enough out of my Zuiko 7-14mm ED it's just freakin' wide and sharp. My 2 fav. are Pentax DA 10-17 f3.5/4.5 ED just for the fun of the fisheye effect, and the Tamron 18-250 Di II for it's everyday use. I know some pros look down on Sigma lenses, but this one is just razor sharp. It's invaluable for the architectural photography that I do. The distortion can be quite severe due to the extreme width, but sometimes this is very desirable and other times it can be remedied quickly with free transform in Photoshop. I use this lens on a Canon D5 for full effect. My Canon 200mm f/1.8 is by far my favorite lens. The buttery smooth bokey and DOF are unmatched. It is the fastest lens ever made at that focal length. It makes pictures that no other lens can quite replicate, simply due to the large aperture COMBINED with the long focal length. It's been discontinued, which is too bad for most who would like to discover this lens, but great for me, as the lens has gone up 4 figures since I bought mine years ago, to over $5,000 on the used market, condition depending. Mine is still not for sale though. It's just that good. for gravy canon 50mm 1.4 is the king of all lenses. I am delighted with my Canon EF28-135mm f3.5 - 5.6 IS USM. Have not needed to change back to the EF-S18-55mm f/3.5 - 5.6 ll I bought with my Canon 350D, but must get a filter to protect my investment! a couple questions that I need help with. problems with "camera Shake", do the Canon IS lenses work well? 2. Don't know if anyone on here can answer this but I'll ask anyway, has anyone on here used a 30D with a telescope? I think I have too many lenses but since my purchase of the FF 5D to complement my 20D, the whole set has taken new life. Currently the most used are my primes for the actual photography that I want to be 100% spot on. 85L 35L and 100mm macro. The macro which is the money lens for me - check out the watch photography on my site. The 85L has no competition where portraits are concerned. The 50L comes close but no cigar. I get studio quality outdoors with that lens. The 35L is a performer but due to it being prime, it does not get much credit as would my 17-40mm which serves me very well for event photography. If I had to keep three lenses from my set, it has to be the 85L, 100mm macro and the 70-200 for sharpness and field work. BUT I would never part with my 35L or 50mm f1.4 now that its in my arsenal. Do check out my dedicated photography site as well. What lens do u recommend for Fuji E-900? Does any lens combined with adapter will fit it or does it have to be special one? Yup, this is a great lens, I would bundle it with a cheap 50mm f/1.8 just for some low light/indoor shots. Mine also is the Canon EF 24-105mm f/4 L IS USM. I just returned from a two week vacation in germany and austria and this is the only lens I used during that time even though I had the Canon 50mm 1.4 with me also. "i am really liking my new sigma 70-200 f2.8, but i think iâ€™ll always prefer wide angle vs telephoto." I'd say my Nikkor 18-70mm ED! but I also love my Nikkor 50mm f/1.8D.. bokeh! 28-300 Canon L EF (3.5-5.6)lens w/image stabilization. It's heavy, but it's razor sharp. I use it on a full frame (EOS 1Ds) body. I can avoid changing lenses and all the sensor dust problems with this lens. On a second body (also full frame- EOS 5D), I use a 12-24 Sigma. This lens takes some knocks in reviews, but mine is just fabulous. I could not survive without it for architectural work. I don't like 'slow' lenses. Having said that, the 18-200mm VR f/3.5-5.6 seems to cover most of my needs. It is quite sharp (though not in the same league as the 70-200mm VR f/2.8) and when used carefully (the build quality is not as good as I would like from a nikon lens), deserves to be cosidered as my most favorite D-SLR lens. My favorite walk around lens is the Nikon 24-120mm Vr and the Nikon 50mm 1.8 for low light and pet photography. The Nikon 18-200mm 3.5-5.6 VR. It's the reason I bought a Nikon D200 16 months ago. I'd rather spend time composing and thinking about the shot than changing lenses. my d200 w/Nikkor 18-200mm f3.5-5.6 VR lens replaced a 30d with 4 lens and I get better coverage, better photos with 1 lens & couldnt be happier.. see ya later canon!!!! Favorite every day lens, Canon EF-S 17-55mm f/2.8. Tack sharp images, 3 stop IS, fast and accurate auto focus L build quality. Rather than get it the way, it is a major asset to your photographic efforts. Next favorite, Sigma APO MACRO 150mm F2.8 EX DG HSM. Top quality lens that doubles in spades as a portraiture lens. Fast and accurate AF. Add a Tete-Converter and you can have a 336mm tele macro. All in all a great lens. oh I wish I had a DSLR...really enjoy reading everyones replies, especially when Im considering my options for a DSLR. I use a Sigma 18-125 3.5-5.6 DC on a Canon 20d body. I is great for everyday shooting. If I could only have one lens the 24-70 f/2.8L would be it. This is the lens I keep attached to my Canon 30D camera. It works better with Canon 5D which I am going to buy when newer version will be available. As complementary to this lens I am using 70-200 f/2,8 L IS. Just got the 50mm f/1.4 by Nikon believing that it will be my fav, but in past it's the 28-70mm f/2.8 Nikon. That is, if I end up sticking with Nikon! Canon seems to be screaming my name with the new 1D Mark 3. For me, my 17-55mm f/2.8 IS is currently welded on my 350D. My 70-200mm f/4 comes very close. But the 17-55mm is very much an all rounder. Only had it about a month now but the Nikon 55-200 VR at about 1/3 of the price of the 18-200 VR is rapidly becoming a one lens fits most situations. If I had to have one lens it's the Canon 24-70 f/2.8L it's sharp and has great contrast and color. However the Canon 50mm f1.4 is so sharp and light this lens would have to be my favorite. I love my Sigma 170-500 mm lens (f5.6-f11). As a wildlife photographer I don't want to be busy changing lenses all the time. I used this lens already on my analog Konika Minolta camera. Now I use it on my Sony alpha 100 and hope to be able to continue using it on a professional DSLR by Sony which will come out next year. I might exchange this lens in the future by the Sigma 50-500 mm lens (f4.8-11), because this has even a bigger range of focal length and it is also possible to use a converter, which is not possible now. But this lens still meets all my needs right now, so exchanging it will take a while. Since I just got the Canon EOS 1D Mark III, my favorite lens has become the Canon 70-200mm f2.8 L IS lens. It's super sharp at all focal lengths and has extremely fast auto focus. Definitely the Nikon 18-200mm AF-S Zoom f/3.5-5.6 VR. Great everything lens with vibration reduction. As for Arun and some other I love my Sigma 30 f1.4. I've been really obsessed with the Canon 17-40mm f/4L USM lens lately. I've been using it for all kinds of stuff. Maybe it's because I often feel restricted with my usual walkabout 50mm f/1.8 (80mm with the Rebel XT's conversion factor), but I've been really obsessed with wide angle lenses lately. I spent a whole day hiking in Lynn Valley canyon with the Canon 14mm F/2.8L USM prime lens last week; I had an amazing time. Superb idea - enjoying reading the discussion - some great pointers there. My favorite is razor sharp Canon 100mm f/2.8 macro. But, I use 50mm f/1.8 a lot too. If I could only keep one lens, it would be the Canon F4L 24-105 in your intro. Covers such a useful range, just great. But... being a shy soul and not a fast runner, my favorite for getting the shot I want is the Canon 70-300 F4-5.6 IS USM. It's not fast, but the IS compensates pretty well, and it's not so heavy for being nice and long. I'm using them on the XTi. The EF 24-70 f/2.8L is so far my favorite. I use that and a 70-200 f/4.0 and in conjunction they really cover the entire range if i just decide to go and walk around for a day and shoot. Easily my favorite lens in my Nikkor 60mm/2.8 micro. This thing is *incredibly* sharp -- more so than the 50mm/1.8. Fantastic for portraits, street photography, abstract and close-up shots. Nikonâ€™s 18-200 VR. Its a great multipurpose lens. ahhhh.. i shouldn't have read this. Now i need to get that Nikon 55mm 1.8 lens for my new D40. At around $100 it may be the best value. 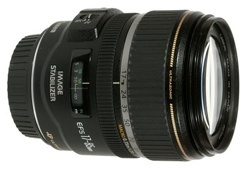 I would love to have something equivalent to the 10-20mm available to me, but you can not use EF-S lenses on the 5D. Add another vote for the Canon EF 24-70 f/2.8L. Nikon 50mm f/1.8; Its sharp and fast and cheap and great for learning composition (as it forces one to move instead of zooming). I'm glad you put this question up. I'm a Canon guy all the way. My "fantastic plastic" is razor sharp, fast as lightning, but noisy and the color is a little dull. My 85 f/1.8 is a hulking, heavy, fast, beauty. I love her. I know some don't like the f/4, but I don't care. When I do a headshot outside the background turns to mush with that f/4. You can't tell what it is. In fact, I think the bokeh I get with the L is better than my primes, who hit f/1.8. Most of my work is with enough light. If I shoot in dim light the stage is usually lit well, so I don't care. I also do studio work, with strobes. If I'm doing a figure shot I stop down to at least f/8, f/11. So the slowness of the lens doesn't bother me. One last thing: you can't get a better lens for the price. It's the best value. I have to agree with the others who voted for the Canon 10-22 wide angle! I adore my Canon 10-22mm f3.5-4.5 totally, but I have to say that the lens I tend to have on my camera 75% of the time is the Sigma 18-200. It is so versatile and allows me a lot of latitude in composition. My dream lens (oughta be your next thread!) is a Canon 10-400 f1.4 macro and it ought to weigh 16 ounces. Nikon 18-55mm AF on my D50. Does pretty much everything I need in a small package. I prefer Nikon prime lens 50mm F/1.8 and 35mm F/2D. For me both Canon EF-S 18-55mm f/3.5-5.6 USM and the Canon EF 50mm f/1.8 II, but mostly the 50mm. Of my current ones, it would have to be my Sigma 70-200mm f/2.8 APO EX HSM. I traveled all over Europe with my Nikon 18-200mm and wondered why I packed the other five lenses. The only other lens I really needed was the 50mm 1.4 for indoors. So I guess you would say the 18-200mm is my favorite by far. I think the one I use the most and like is my Canon 70-200mm f/4. I just don't have the extra cash to get other lenses... damn my bills and rest of my life for getting in the way of my photo needs! "Sigma 70-300", although its not what I most use.. its the one I have most "fun" with.. Absolutely the Nikkor 50mm f/1.8. I rarely take it off. My most loved lens is my Sigma 70-300 F/4-5.6. Its focal length is just right, it's great for photographing people and animals without them noticing, resulting in a natural look. Besides that, I got it from my girlfriend which makes it extra special. On the more wide-angle end I have an adorable Canon 17-55 F/2.8 IS USM which I bought about a week ago. Although it can't compare to a girl's love it's still very high on my favourites list. Still, it's a tremendous lens for all kinds of purposes. I prefer the Nikkor 50mm 1.8D most. I would like to have the 35mm because of the not so wide range of the 50mm but itÂ´s sharpness and quality is awesome. My personal hit lens! And itÂ´s cheap! I love my Tamron 70-300 f/4-5.6 with 1:2 macro option. I think I use this lens about 95% of my time. Sigma 10-20mm ultrawide - can't beat it! Canon EF 70-200 2.8L IS. Perfect in every way - fast, sharp, color, CA, etc. All the reviews do not do justice. Go to flickr and search out the lens and you'll see why. Another lens for my Canon 30D is the Canon EFS 17-55 2.8 IS. Another great lens, sharp and fast. My favorite lens for landscapes is my 16mm, but for portraits, it's my 105. They are much sharper than my zoom lenses, and I like different lenses for different applications. I LOVE to do macro work, but I haven't got a favorite macro lens yet. All my lenses (except the 16mm) have macro, but they just don't get close enough for what I want to do, so that lens is not yet in my bag. I share your love for the Canon 24-105. It's my first lens and I totally love it. I also wish it has a bigger aperture. I recently bought the Canon 100mm macro lens and I'm loving it all the more. 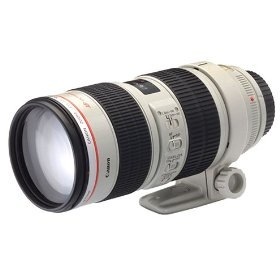 I'm currently saving up for the Canon 70-200 2.8L. Having only really used 1 lens i'd be struggling to say which I like best as it would be default best and worst! I have just ordered myself a Pentax 40mm f/2.8 'pancake' lens as a gift (for myself!). I have the 18-55mm kit-lens that I got with my Pentax k100d. I find the 18-55 covers most of the range I need. I got my new prime lens at a good deal but hope to add a medium-zoom lens in the future. Any opinions on something with a range of somewhere round 150mm welcomed (pentax fittable obviously). Basically a pretty ridiculous lens, as previously mentioned. The "zoom" equivalent of 11x is pretty good, and 18mm on a DSLR is nice and wide. I use the Tamron 28-75 f/2.8. I've got my eye on the Tamron 18-250 f/3.5-6.3 Macro for the longer zoom and macro use; the review looks good, just not sure if an IS lens would be better? Thoughts? 2. Not much of a zoom and the frame is really small but it makes me work for my shots, and the results show! I just love my Sigma 17-70mm, 1:2.8-4.5! I recently bought a nikon 12-24mm F1.4 and love the compressed perspective. Its so wide its near impossible to miss your subject or get it out of focus. City scapes look awesome. Since I got it, I almost couldn't replace it with one of the other other lenses. but I've forgot to mention: I really can't stand the lens moving i n/out on its own holding the camera straight up/down. According to Nikon: "as designed..."
Most of the times I do use the allpurpose lens 18-200. For wedding and portrait photography I might get the help of the 50mm F1.8 nikkor lens specially under poor lightening conditions.To me, both lens are sharp and crisp. If I have to choose a single lens, it should be the AF-S DX VR 18-200mm F3.5-5.6G IF-ED Zoom-Nikkor. I yust LOVE my 17-55 IS EFS on my 400D, but my walkabout lens is actually a 28-135 IS,I hope Canon will offer more EFS lenses in the next future,with the 17-55 EFS quality. For me, it'll have to be the Canon EF-S 17-85mm f/4-5.6 IS USM. Reason: IS, Zoom covers 90% of my needs and within my price range. Of what I have, I'd say the Nikon 50mm f/1.8 is my favourite. It's the cheapest lens I own, but it's the perfect indoor portrait lens (out of what I've got). Once rented the Nikon 70-200mm f/2.8 VR, very very lovely lens. Nikon 12-24mm. CouldnÂ´t live without it now, itÂ´s great! For me the best performing lens is the 100mm f2.8 macro and the 85L f1.2. Both lenses consistently shoot keepers. Best walk around/ travel lens is the Tamron 28-75 and Sigma 30mm f1.4. I love my Sigma 10-20mm on my 10D. The first one I bought was a dud (too soft at the edges). The replacement is supurb! Always test a lens before you buy it! I have those too (Canon EF 50mm F1.8), they're pretty good. 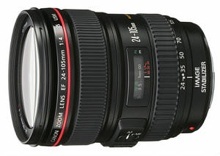 The Canon EF 24-105mm f/4L IS USM would be on the top of my list if I could have only one lens. But since that's not a limitation, my favorite lens is probably the EF 135mm f/2L USM. A close second is the EF 50mm f/1.4 USM. My favorite non-digital lens is definitely my Minolta MD 85mm f/2.8 Varisoft. I still find myself setting down my EOS 5D and picking up my XD 11 and the Varisoft sometimes. One of the best portrait lenses ever, IMHO. Just got back from a trip to Yellowstone NP. All I needed was my 18-200mm VR Nikkor. I use it mainly for indoor shooting and portraits. My current favorite is the Nikkor f1.8D. A: it's cheap @$100. B: it takes really sharp photos. Until i'm made of money I need to buy cheaper glass. I only have 2 lenses: the standard that came with my Canon 30D and an EF 55-200mm f/4.5-5.6 II USM which I also bought at the same time. Have only just found this website, and as a 'newbie' am totally loving it, and wish I understood more about what everyone is saying. Maybe one day........ In the meantime, love the EF 55-200mm cause it allows me to get the close-ups I love. but as for technical details, can't share them as yet, since I don't really know what I'm talking about in that department. Well i would have to say my 50mm f1.8 ! Its takes awesome pictures ! This was a race between my LB 3G, LB 2.0 and Nikkor 18-55mm however the Nikkor 18-55mm wins, it produces sharp great pictures and with all the lenses I do have the standard gives me exactly what I need at any point in time. Overall: Canon 24-70 f/2.8 L - This lens is a simply amazing walkaround lens. It narrowly beats the 24-105, only because of the f/2.8 in my opinion. Prime: Canon 50mm f/1.4 - Not only is this lens sharp as a tack, and a low-light monster it is CHEAP and in my opinion has the highest quality to price ratio of any lens canon makes. Zoom: Canon 70-200 f/2.8 IS L - This lens pretty much speaks for itself. Amazing sharpness, focusing speed and build quality. Add f/2.8 plus IS - simply amazing. My favorites lens is the Canon 100mm f/2.8 Macro. It gives me extremely sharp pictures and reveals macro details that I have never seen before. My favorite general-purpose walkaround lens is the Canon EF 24-70mm f/2.8L. My favorite all-around lens is the Canon EF 135mm f/2L prime. It's a super-fast, sharp, lightweight lens that forces me to work a little harder when I'm walking around looking for good photos. Without a doubt, my 14-50mm f/2.8-3.5 Leica Vario Elmarit which comes with the Leica Digilux 3 (or Panasonic DMC-L1). The focal length is equivalent to a 28-100mm (yep, that's a four thirds mount). It is incredibly bright, fits most of my needs, and the optical stabilizer rocks. The only downside : I find the 4/3 image ratio kind of disturbing. My first lens was the Canon EF 28-135 IS USM. For many months, it was also my only lens. Can't say that I've had a single complaint. If you don't want to shell out for an L-series, but want a nice, fast, reliable daily shooter, then this lens fits the bill. Either my 70-200mm VR f2.8 or the 50mm f1.8, they alternate on my camera. The Nikon 50mm f/1.8 makes me a better photographer. It's a $100 lens and yet, I am always blown away by the photos I take. B&W candids shot between 1.8 and 2.8 always are keepers. At f8 to f11 well, let's just say I never have to use any sharpening in PS. That is saying something. My Nikon 70-200 2.8 VR is the equal of my 50mm. $1700 and $100 lenses that are superb. A tad heavy but, I'm a strong guy. I do wish I could give the Canon EF 24-105 a try. I see great photos taken with this lens. But, I am to far into Nikon and am happy. I was wanting to get a canon 70-200 2.8L lens, but I have not seen anyone mention it, from what I have read, it is supposed to be great, I just don't think the Is, is worth the difference about 50% more on ebay and the non Is is supposed to be a sharper lens and better for things that are in motion. It absolutely has to be my Canon 17-40 f/4 L. Got great colors, and absolutely lovely landscape pictures! nikon 10.5mm f2.8 fisheye. its so clear and has great distortion. prefect for shooting BMX and Skate Photography which i am very into. Dr Tan- i'm assuming you're referring to the 1st version of the lens which is also prone to soft focusing. the 2nd version (announced with the mkIII and 530exII) hasn't received any bad reviews as far as i've seen yet. Canon 50mm 1.8 Mk II - "Nifty Fifty" Cheap, fast, light, did I say cheap, I mean inexpensive. I know, it's a disposable lens, but for the price, I'll buy another one when this one dies. Canon 24-105mm f4L, the greatest walk around lens I have ever owned. I own some of the higher end Sigma lenses, but still much prefer the Canon L series glass, so crisp and clear, well worth the difference in $s if you can afford the sticker price. I like my Tamron 28-75 f/2.8 and my Tamron 24-135 f/3.5. The best lens there is! I love my canon 50mm 1.8 - the plastic is truly fantastic, it's light and small, discrete, and i use it for street photography and portraits. I use it at parties for no flash photography. I use it at concerts. It's the lense that I can rely on for tough situations. Just a little bit tight with the 1.6x crop factor on my EOS 30d, but hey, that's why we have legs. I guess it isn't the usual walk-around lens, but my favorite is a Canon 100mm f2.8 macro. It gets first shot at almost anything nearby that I want a picture of. For myself, my favourite lens is the Nikon 28-70mm f2.8D AF-S. Sharp throughout the zoom range, great in low light, and it works on both my F100 film cam and my new D200. I bought this "little" baby in April 2006 after my 35-70 f2.8D was stolen in a house robbery. My second favourite is the 80-200 f2.8D AF-S, again super sharp, good operating range. Both are of course weighty, but if you want the quality, and the speed, its worth the money. I also made sure to buy both with the same filter size 77mm. This way one size does fit all!!! Years ago my Dad, a retired Engineer with Spar Aeropsace, instilled in me two sayings, which I adhere to, to this day: "Buy the best you can afford", and "Do it Right the first time!" I have never regretted my purchases and the photographic results (for a well composed and exposed shot) always make me go - wow! Tamron 70-300 - Fits my needs perfectly. Perfect walkaround lens. Constant aperture. Crisp and vibrant pictures. Tack sharp. Excellent wildlife lens. Very fast AF. There's no doubt about it, my Sigma 30mm f1.4 is the top. I love it. It is amazingly sharp, takes great photos in low light, freehand. I've never been able to do the things I do with my Sigma. It's true what they say, "Once you go prime, you'll never go back." My most used lens is the Nikon 28-70mm f/2.8D. Downside is the 1.5 factor deprives me of a good wide angle and the lens is *heavy*. Upside is the great performance in low light and it's sharpness. I would have to second the canon 17-40 f/4 L. I like it better than the 16-35 2.8, not so much on price, but SIZE. The faster lens is so much heavier! This is a very sharp lens, and the canons can easily give it enough ISO to keep up with the f/4 speed. would I rather a 2.8 on this puppy, sure, but not for another grand! I love love love the Canon 50mm f/1.8. There's a reason it's called the "plastic fantastic" - price usually under $100 yet it takes some mighty crisp photos. I personally feel that everyone who shoots Canon should have this in their bag ... unless, you know, you can afford the f/1.4 instead. The most useful lens with superb image quality and a real bargain is the Canon EF 50mm 1.8 mark II. Quality build is not great but under $100usd pricetag you canÂ´t ask for more. The Canon EF S 10-22mm 3.5-4.5 is one superb lens for ultra wide angle that is actually very useful. ItÂ´s not a walk around lens, but with its low distortion everything gets a fresh look. I love this lens. IÂ´d like f2.8, and without being an L series itÂ´s on the pricey side. A good walk around lens I use is the EF S 18-85mm. Good price, nice built and is a good upgrade from the kit lens. Optically is not excellent, but with DX0 I can fix any optical problem. For super tele the EF 70-300mm IS USM is just superb at a great price. ItÂ´s a terrific lens for portraits and great bokeh. Image Stabilization works very nice and itÂ´s a must have lens. mdwsta4, you might want to read abit of reviews about the 16-35 f/2.8L. From what I read AND heard, the distortion is quite bad even at telephoto. Though I stole my friend's 17-40 f/4L for a while and loved it. Though the image tends to look like a topographical tent top due to the distortion. But then again, its a super-wide. Easily my Nikon 50mm f/1.8D. I'm eyeballing the nikon 18-135. I have the 18-55 and the 55-200vr, but I don't use the long telephoto as much as I thought I would. I use a Canon 18-55mm f/3.5-5.6 II and a Canon EF 70-300mm f/4-5.6 IS USM. I do a lot of nature photography, so I have to constantly switch lenses. The scene can change from beautiful landscape shots to close-ups of wildlife around each bend. It's a real pain, but the IS feature of the 70-300 is absolutely necessary for those extreme zoom shots. But, if I HAD to pick one lens, it would have to be the 18-55, because I can't use the 70-300 for family gatherings, which is the second most popular use for my camera. I also use an old Canon 35-80mm film lens if I really get stuck for that mid-range shot. My camera is a Canon Digital Rebel XT. I'd say probably the Canon 70-200 f4 IS. Have to agree w/ Joey Kunin, loving the Nikon 50mm f/1.8. Awesome, sharp and fast prime lens. It is fast, fast focusing, of good build quality and with a 1.6x crop factor found on canons, it comes to the equivalent of a 48mm. I just plain love it. In the starting question, the author Picked a Canon EF 24-105mm F4 IS USM lens. I hear great things about it because of its sharpness. A curious association would be what camera body he uses it on and why? My knowledge of the lens is that it is best used with the full frame Canon 5D. If anyone has experience using it with say a 30D, I'd like to hear about the usefulness with that body too. I love my Canon 10-22mm f3.5-4.5 USM ultra wide angle. It gives me lines, height, creative perspectives. I've got my eye on the Tamron 200-500mm f/5-6.3 Di LD. Since I can't afford any L-series lenses, my current favourite standard is the EF-S 17-85mm IS, which is brilliantly sharp and has the right zoom range for a walkabout lens, and was within my meagre budget. I've also got a Sigma 10-20mm f4-5.6 EX DC HSM, which is cheap, sharp like an L (apparently) and comes with all those EX sigma bonuses, like top notch build quality, lens hood and carry case. Anyone considering the EF-S 10-22mm should also consider this, I love it. i) It's heavy! I didn't notice it till recently I ended up walking around with it around my neck for about 3-4hrs in Washington DC! Other than that, if you are on the fence trying to decide whether or not to buy the Nikon 18-200mm I'd say go for it! 2) A super wide angle (maybe a 10-20mm or a 12-24mm) - Any suggestions on this one? I just got it yesterday in the mail...Olympus 50mm 2.0 macro. But my all time favorite was the old Vivitar 28-90 Series One lens made in the early 80s. Wow, that thing was sharp! canon 17-40 f4L. heavy enough to feel good, light enough to carry around all day. shots are extremely sharp from center to corners throughout the aperture range. one day i'll pick up the 16-35 for the 2.8 f-stop, but until then i this is my favorite walk around lens. i am really liking my new sigma 70-200 f2.8, but i think i'll always prefer wide angle vs telephoto. Nikkor AFS DX VR 18-200mm F3.5-5.6 G IF ED. Love it for being able to go from wide to tele without having to change lenses. Its on my camera 98% of the time. Other 2% is running around like a fool with a Nikkor AF 50mm f1.8D. For the moment from what I have, my Nikon 50mm f/1.4. Great for low light and indoor portraits. But I am drooling for a 28-70mm f/2.8, the Nikon 18-200 VRII and a 105 mm f/2.8 macro. I'll say exactly the same lens that you said and for the same reasons: Canon EF 24-105mm f/4 L IS USM. It's a great lens that is very versatile. I took it to the Alps on a trek and wound up keeping it on my camera almost exclusively. Picking my favorite lens is like picking my favorite child. If I had to have only one lens it would be my Nikkor 18-200mm f3.5-5.6 VR. That was actually the plan until I got my 50mm f/1.8. Wow that is fun. Then I picked up an 85mm f/1.4 even more fun. I still use all of them and love them equally as much. Kind of like my 3 kids. I'm just getting to grips with my spiffy new Canon 70-300mm IS USM, which I think I'm going to like a lot, but for now I still love my 50mm f/1.8, which is a wonderful combination of sharp, fast (as fast as I can cope with at least) and fabulously cheap. For a long time it was a Nikkor 12-24mm f/4, but I just bought myself a Nikkor 85mm f/1.8 it's not a easy lens to shoot with, but it's fun and the bokeh is very nice! At the moment it is still my Canon EF 50mm f/1.4... very sharp, great depth of field and it's small!... "i'm lovin' it"
that would be my Canon EF 85mm f/1.8 USM... razor sharp & lightning fast AF! I currently use a Panasonic FZ50 bridge camera. It has a Leica 7.4 - 88.8 mm f/2.8 - 3.7 IS lens which is equivalent to 35 - 420 mm. In addition to covering such a wide focal length this lens is quite fast, sharpness is good, and has little distortion. The only bad thing is that you can get some ugly purple fringing/chromatic aberrations around hight contrast edges. And when I get a DSLR one lens I've heard is quite nice is Tamrons 90 mm macro. I prefer my Nikkon 80-200 f/2.8. Its a great and solid lens. Yes, this one Nikkor 18-200mm f3.5-5.6 VR too. Second one: Nikkor 70-200 2,8 VR. I have the Nikkor 18-200mm f3.5-5.6 VR lens. Extraordinary thing that is, covers all my possible needs. This is the one and only lens tha i have. Well I use 18-55mm Nikkor and 55-200mm Nikkor.. I prefer the telephoto one as its so easy to get the subjects from the distance so u dont interfer them and end up getting the "real action". but the problem is even a small hand-shake can blur the image bad.. Both lenses are pretty fast.. I'm siding with Joey: a Nikkor 50mm f1/8. Extremely nice, albeit a bit tight with a 1.5x crop factor (the 50mm becomes a 75mm), lens. Although it's not the best lens on the market obviously, I like it a lot. Of course I only have two lenses so not a lot to choose from, but I like the long range it covers, the macro mode and as a student of course I loved the price. Nikon's 18-200VR. The hype is not misplaced, if you want the ultimate walk around lens, that is the lens to have. I had the 24-120VR (on paper very similar to your Canon pick) and really enjoyed using it, but this lens is something else. The wide angle, and extra reach make composition a snap. Nikon 50mm f/1.8, a clean, fast, super sharp classic lens thats got a great focal length. At the Moment it's my 55-200 Tamron Di II , this will change next week when my Canon EF-S 17-55 f2.8 IS and Canon 70-200 f2.8 L IS arrives. Ryan's EF-S 10-22 then moves to the top of my what lens next list. I pretty much use it all the time. I love my canon 50mm f1.4 lens. Sharp, light, short focus distance. With my 10D, it is a GREAT portrait lens. With my 5D it is a great normal lens. Even though I have other lenses like the Canon 85mm f1.8, 16-35mm f2.8L and 70-200IS f2.8L - all of which I like, I find myself keeping the 50mm f1.4 attached to my camera most of the time, it is just a great lens. Oh, and it is cheap too! It's great for wide angle shots on a DSLR - good distortion control, decent aperture, really good for "no look" photography (read: on a bike, moving at 15 miles/hour, shooting friends around you, or setting near the ground for a different perspective - that sort of thing). I would have to say the 24-70 f/2.8L tops my list. If I could only have one lens, this would be it.